This year for the first time, participants will have an opportunity to take part in our Virtual Run or Walk, whenever and wherever suits. We know that Sunday 14th October may not suit everyone so we have a new option whereby if you are unable to join us on the day or are living abroad and would still like to be part of the Run & Walk for Life, well here is your chance! 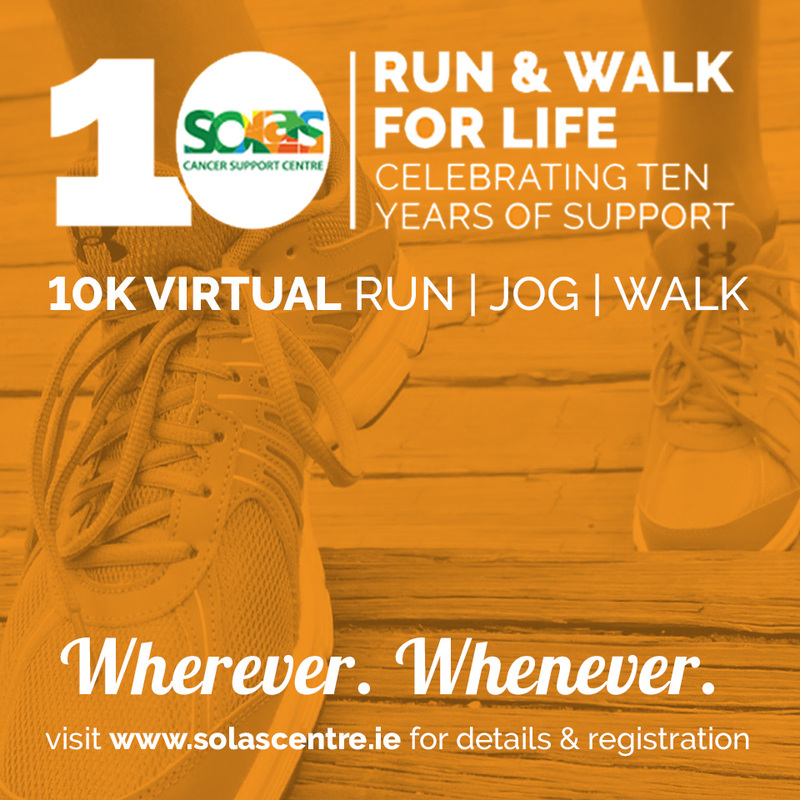 Supporters can register online, pay a registration fee of €30 and receive our unique orange T Shirt and commemorative medal by post. The rest is up to you! Please Note: Closing Date is Sunday 7th October. This is a virtual registration option only and does not include official registration for the event on the 14th October.